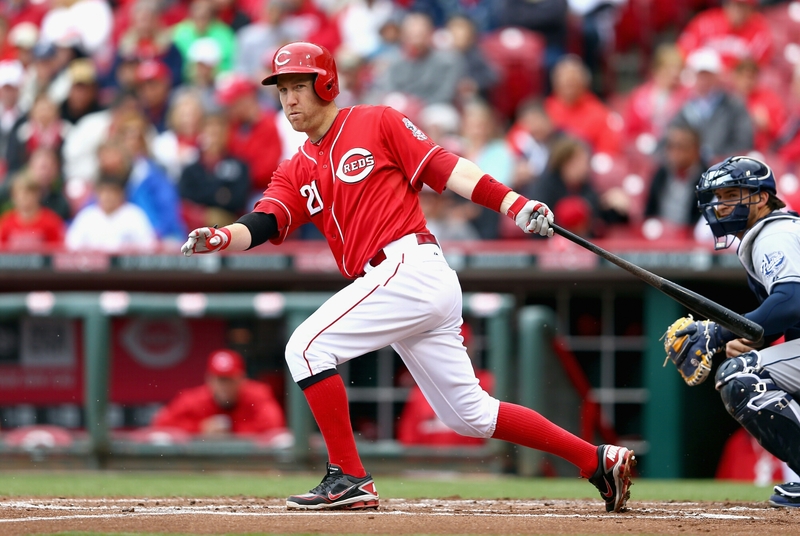 The Chicago White Sox, Cincinnati Reds, and Los Angeles Dodgers have pulled off a three team trade that will send third baseman Todd Frazier to the ChiSox. The Dodgers acquire pitcher Frankie Montas, infielder Micah Johnson and outfielder Trayce Thompson from the Sox and the Reds acquire infielders Jose Peraza and Brandon Dixon and outfielder Scott Schebler from the Dodgers. Frazier, 29, is one of the most popular players in the game. The two time All-Star hit 35 homers last year in the Queen City and won the 2015 Home Run Derby. He’s a good hitter and a decent glove at the hot corner. But, the really great thing about the self-proclaimed ToddFather is his popularity. Fans cannot get enough of him, and he’s one of the most charismatic figures in the game today. Obviously, that’s not why the White Sox dealt some of their top prospects for him, but anytime you can get a player that hits 35 bombs and is as over with the fans as he is, it’s a bonus. The Reds, according to MLB Insider Ken Rosenthal, believe that Peraza can be their regular second baseman. They love his speed, his bat, and his upside. He’s only 21, so he’s got a lot of time before he reaches his peak. This is your prototypical “rebuilding” move. You trade a guy with a lot of trade value and reap the rewards. Don’t be surprised if he’s with Cincy this season, as the team is looking to trade current second baseman Brandon Phillips. Now, a lot of rival execs, according to Rosenthal, are wondering why the Reds didn’t take the Dodgers offer. The perception is that the Dodgers are trying to stockpile prospects to possibly make a run at star pitcher Jose Fernandez from the Miami Marlins. With the prospects they currently have, and some they may acquire in the future, it does seem like a legitimate possibility that the Los Doyers could make a ploy for the “unattainable” (use that term loosely) Fernandez.